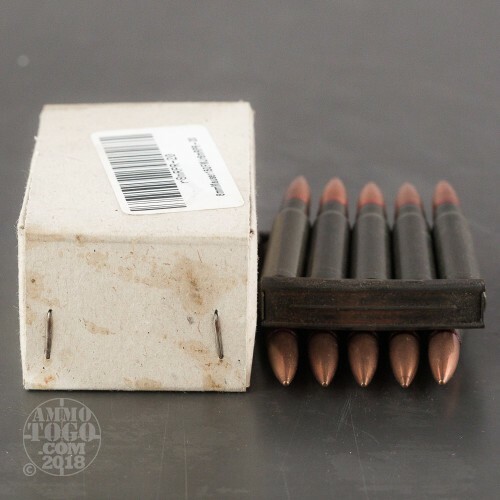 After WWII, a great many European nations were left with stocks of Mauser rifles, and even Soviet Bloc nations retained their supplies of these increasingly obsolete arms. Fearing a massive war between East and West that never came, Romania, like many other communist nations, kept a massive reserve of second and third grade rifles to issue to home guards, militia and rear echelon troops, and continued to build up stockpiles of ammo for them through nearly the end of the Cold War. This Romanian surplus 8mm Mauser was made in the 1970's at the height of Cold War era fears. 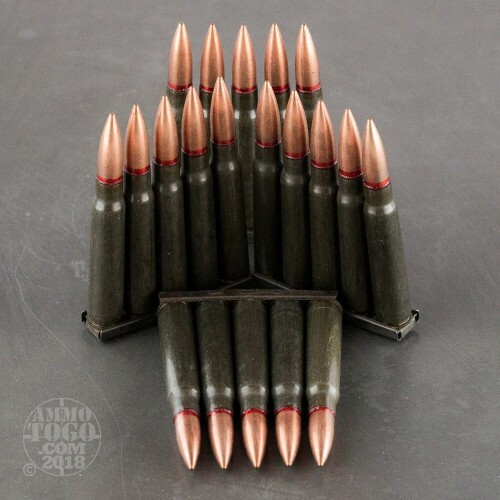 Needless to say, we won the Cold War and can now enjoy the fruits of that victory by buying up the very ammo once put aside to wage war on the Western democracies. 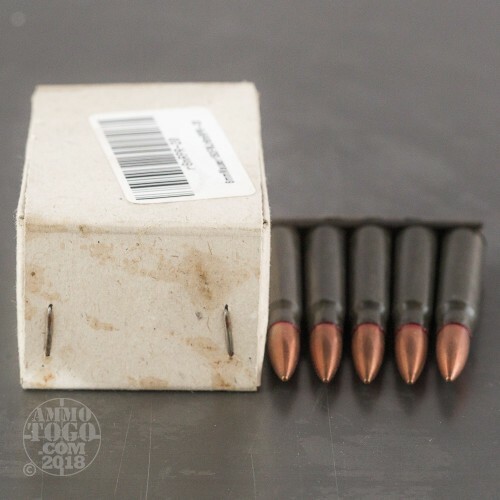 This 150 grain FMJ ball ammo comes on reusable five round stripper clips, and packed in 20 round cardboard boxes. Lacquer coated steel cased, and Berdan primed, this is corrosive ammunition and needs to be treated accordingly. 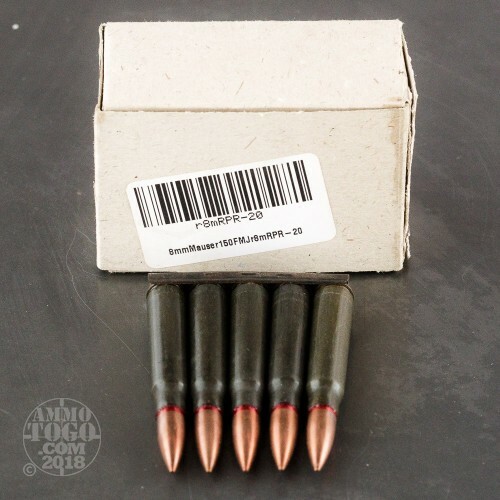 Safe to use in all 8mm Mauser rifles in good repair and of modern design, this is ideal for the many surplus Mauser pattern rifles on the market today.